Today is National Chocolate Ice Cream Day! 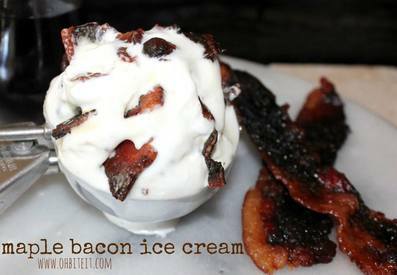 Although I love Bacon with my chocolate ice cream, nothing goes better than maple ice cream with Bacon! I don't think I need to say anything else about this, except, you've got to try it! !